A military court on Thursday charged the mother of a Palestinian terrorist who stabbed to death three members of a family at their home in the West Bank settlement of Halamish. 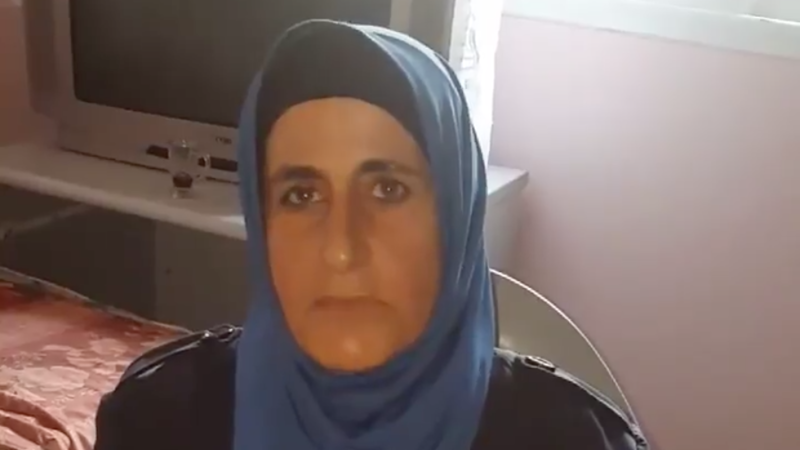 Ibtisam al-Abed was charged with incitement to violence after praising her son’s deadly stabbing spree almost a week earlier. Last Friday, 19-year-old Omar al-Abed broke into the Halamish settlement, near Ramallah. 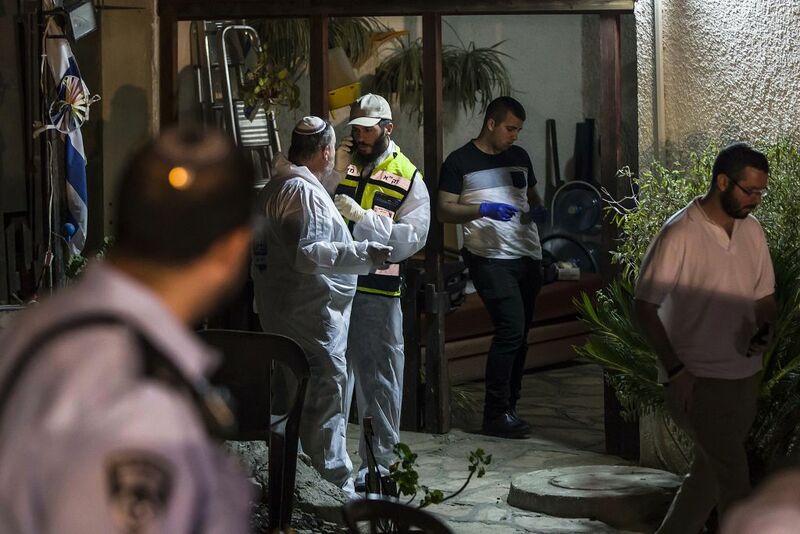 There, he went into the Salomon family home and began a stabbing spree, killing three members of the family, grandfather Yosef, 70, and adult children, Elad, 36, and Chaya, 46. 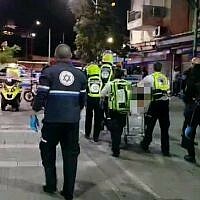 The grandmother, Tova, was also seriously injured. Abed was shot and wounded by an off-duty soldier. He was arrested and taken to a hospital for treatment, and then transferred to Israeli security agencies for questioning. He has not yet been charged. 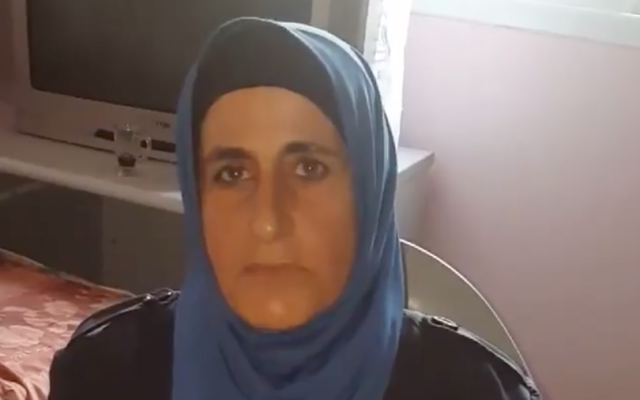 Ibtisam al-Abed was arrested by the IDF Tuesday from her home in the West Bank village of Kobar on suspicion of “aggravated incitement,” the military said in a statement. Following the attack, Abed’s mother appeared in a video that was widely shared on social media, in which she praised her son for the attack, saying she was “proud of him” and hoped he would be released from custody. The military said these statements constitute incitement to violence. In an interview with the Haaretz newspaper published Monday, Ibtisam al-Abed was quoted offering support for some of her son’s actions. “It’s not acceptable to me [what he did]. But the whole nation sees courage in his actions, going into an illegal settlement, fenced off and guarded. he didn’t injure children. He sent them away so they wouldn’t get hurt,” she was quoted saying. 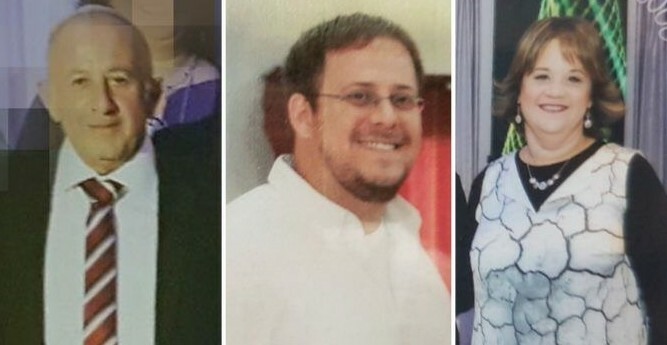 According to Michal Salomon, whose husband Elad was killed in the attack, she hid their five children in an upstairs bedroom, while her husband fought off Abed until help could arrive. Abed’s father Abd al-Jalil al-Abed also told Haaretz his son’s actions were understandable. “I don’t support it, not the killing of Jews and not the killing of Arabs. But the reason for my son’s action is bigger than anything else: Al-Aqsa, the holy place for all Muslims. Omar saw what was happening, the worshipers who were beaten, stopping the prayer. I blame the occupation,” he said, referring to tensions over the Temple Mount that precipitated the attack, which were sparked by Israel’s decision to place metal detectors at the site after three Arab-Israelis shot dead two police officers right outside the compound on July 14 using weapons smuggled into the Al-Aqsa Mosque. On Thursday, Prime Minister Benjamin Netanyahu said Omar al-Abed should receive the death penalty for carrying out the deadly stabbing spree.